The truth is, most of us don’t know where we get our ideas. They simply float to us in the ether and drift down like magical rainbow-sparkled star petals. 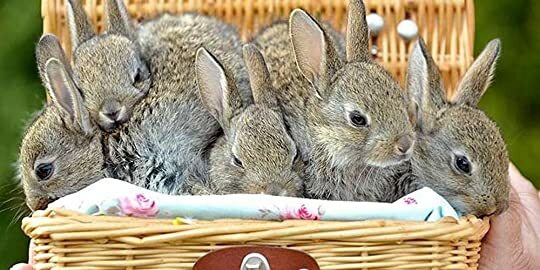 Alternately, some ideas attack in the form of Plot Bunnies, it all just depends. I take terrible photographs, with blurry images and off-center layouts. I take even worse selfies, always getting my “bad” side. So when an aritst of Lex Chase’s calibre puts out an offer to do author portraits, I snapped it up! 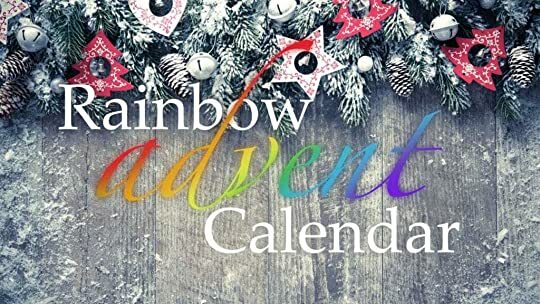 What a pleasure to participate in this year’s Rainbow Advent Calendar event! My hat is off to Alex Jane for organizing it and for putting her energy in making sure this gift of love from authors to readers came together so smoothly. Big news! I’m going to be at an author signing event in Las Vegas on November 8th, from 3-5pm. Over 100 authors in the same place, signing books and meeting readers. I’ll have Honey from the Lion and Hereos For Ghosts on hand to sell and autograph. Click here to register to attend as a fan! By signing up, you’ll be eligible for a raffle to win one of three Kindle Paperwhites being given away at the end of the signing event. Cost for fans is only $2.50 as snacks & beverages will be provided. Readers tell me they are loving Honey From the Lion! I’m so pleased, because I had such a good time writing this particular story. It’s got my favorite tropes, from “enforced intimacy 24/7” to “stuck in a cabin in a snowstorm” to “sharing a bed on a cold winter’s night.” All of those, and more, push my buttons. 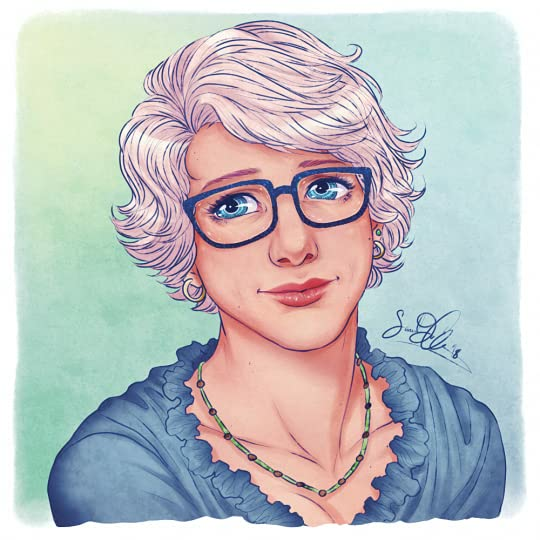 I recently got my author portrait done by the amazing Sarah Jo Chreene. And lookit! Lookit how pretty I am! lookit how my eyes shine! I’m so pleased with all of the details she put in, how she showed my dimples (but not my wrinkles), and how she included my favorite jewelry. The earrings are regular gold hoops, but the little green stud in my left ear green glass that is actually comporessed volacnic ash from Mt. St. Helens. 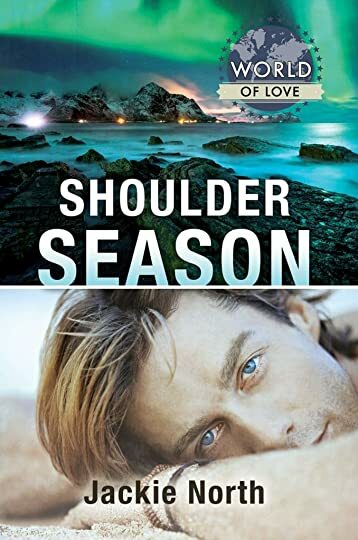 The folks at Dreamspinner Press published my book Shoulder Season as part of their World of Love series. They had an open call around December of 2017, asking for submissions for each of the countries around the globe. Authors were to send in a “treatment” and sign up for a particular country. 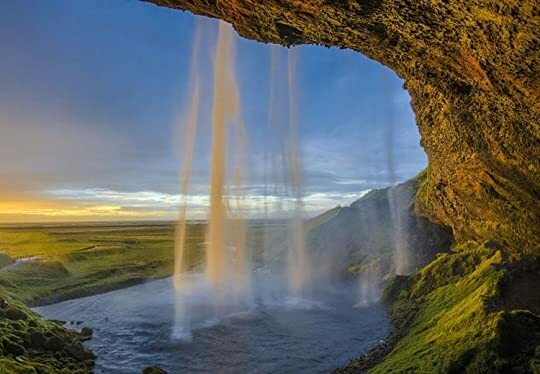 As Iceland wasn’t spoken for, I was glad to sign up, as Iceland has always been a place I’ve wanted to go. Someone is making food for you, either a cup of tea with toast, or a full meal. You, or another character, will soon be fed. There will be chores. Chores are homey. There is nothing to be done about this. Just do them. 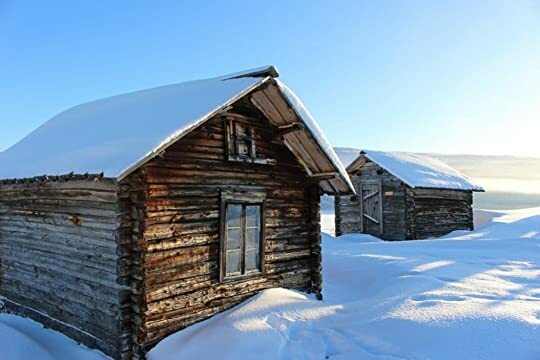 Fires are homey too, and there is one, somewhere, either being built or banked to low coals, for the nighttime. There will be naked times and baths with Castile soap. It is inevitable. Just take the bath, okay? I’ve contacted most of my subscribers, and emailed my ARC team, and would like to welcome you all to my new website. If you’d like to reach out, you can email me at jackie@jackienorth.com.